Ever wanted to rule your own nation? Queen Anastasia Sophia Maria Helena von Rubenroth Elphberg of Ruritania presides over her kingdom in Stone Mountain. A spindly 13-year-old wearing a silver plastic crown and cargo shorts stands next to a middle-aged man in full military regalia as they await their royal photo. 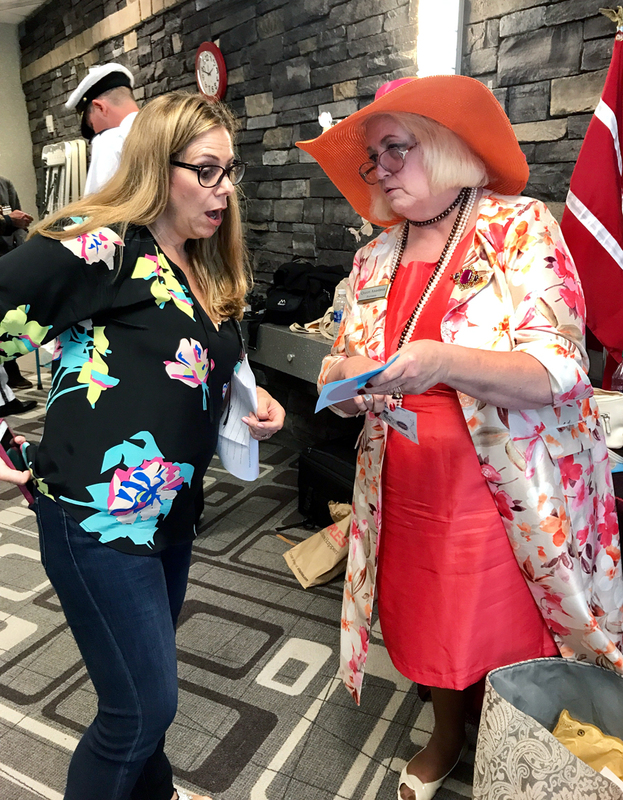 They’re surrounded by more than 70 delegates—dressed in pearls and kitten heels, electric blue sailor suits, glitter-coated boots, and capes. They represent 26 nations, from the Kingdom of Jupiter to the Republic of West Who. 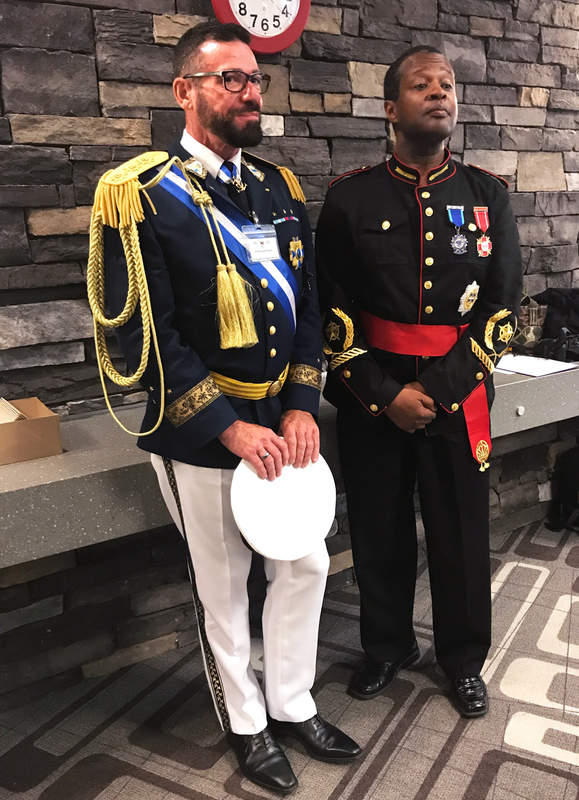 Queens, emperors, and dictators traveled from as far as France this past weekend to Tucker’s Reid H. Cofer Library to discuss their day-to-day lives as the rulers of micronations. Not familiar with the term? Newbies are often introduced to the concept through the example of the Principality of Sealand, which, depending on whom you ask, is either the world’s smallest nation or a rusted military platform off the coast of England. Built by the British in international waters, Roughs Tower was one of four naval forts used to fend off Germans in World War II. The post was abandoned after the war—until pirate radio operator Roy Bates commandeered it, moved his family on board, and declared independence in 1967 as the Principality of Sealand. Most experts deride the claim that the structure is a sovereign territory; nevertheless Sealand has served five decades as a model for aspiring micronations, surviving attempted demolition by the British navy and an armed coup. 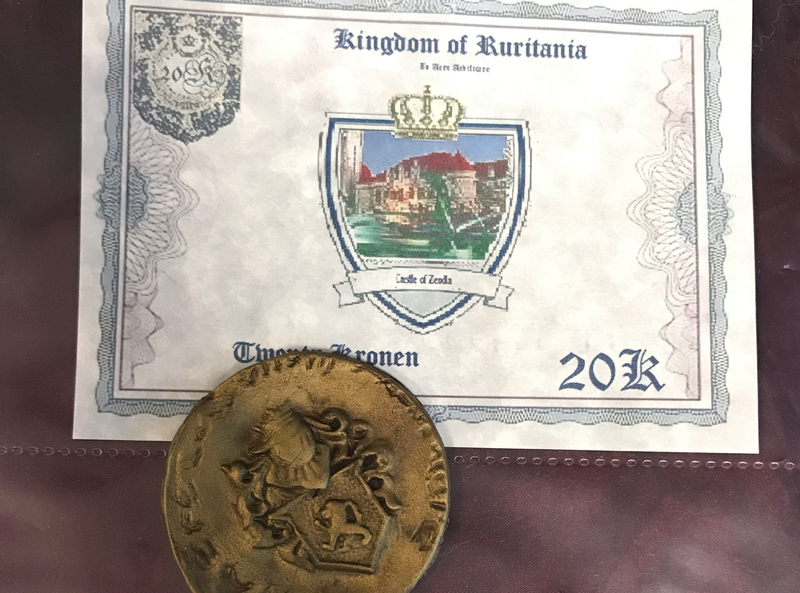 Not all micronations have such storied histories or take themselves as seriously—or even have physical territories. For some, it’s a state of mind; for others, it’s their bedroom, their home, or a slice of western Antarctica. The Kingdom of Briarcliff, for example, is a neighborhood in central Illinois, where His Royal Majesty King Andrew I, got the idea to start a micronation from a YouTube video. The 13-year-old flashes a braces-laden smile and recounts his muse, the Republic of Cheesistan. Queen Anastasia Sophia Maria Helena von Rubenroth Elphberg of Ruritania also founded her kingdom as a teenager. In 1967, she volunteered to do a friend’s school project—creating a country from scratch—and she’s been queen (of half an acre in Stone Mountain) ever since. As host of this year’s MicroCon, she carries herself with an air of royalty, greeting constituents under an orange sun hat with a pink satin ribbon and white dogwood blossoms. Queen Anastasia, of the Kingdom of Ruritania, shows off some of the items from her country’s table. This is just the second MicroCon (the first was two years ago in California, and the next will be two years from now in Canada). Anastasia and her family organized three days of events—sightseeing around Atlanta, bowling, a gala, and this conference. Three generations of Ruritanians are present, including Anastasia’s sister-in-law, Grand Duchess Carolina Francesca Antonia Frederika von Elphberg, who joined the Kingdom of Ruritania after her brother, the King, died. She said running the micronation helped the family face that hardship. Grand Marshal Karo Lyn, of the Ambulatory Free States of Obsidia, keeps important artifacts (like their territory) at the national embassy in Oakland, California. Grand Marshal Karo Lyn, of the Ambulatory Free States of Obsidia, hails from Oakland, California. 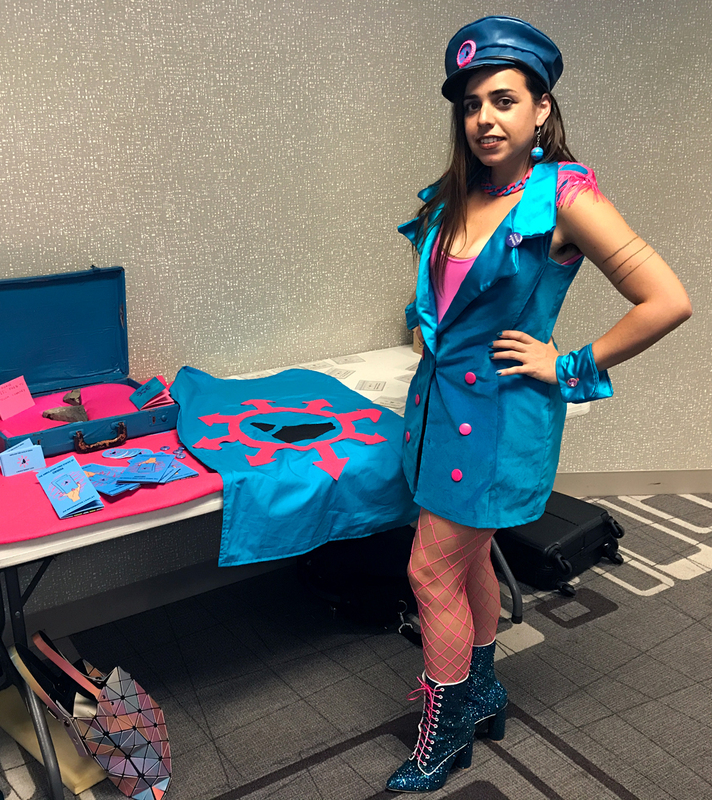 Decked out in an electric blue uniform, hot pink fishnet stockings, and glittery high heel boots, she’s at the convention to spread her nation’s feminist (and borderless) agenda. When it’s her turn to offer a status update on the state of her nation, she says the captain of Obsidia’s navy is now working with Women on Waves, an organization that travels around the world in a sailboat, bringing safe abortions to countries where the procedure is illegal. “Borders are the enemy of mutual aid, of autonomy, of feminism, and, indeed, freedom,” she says. 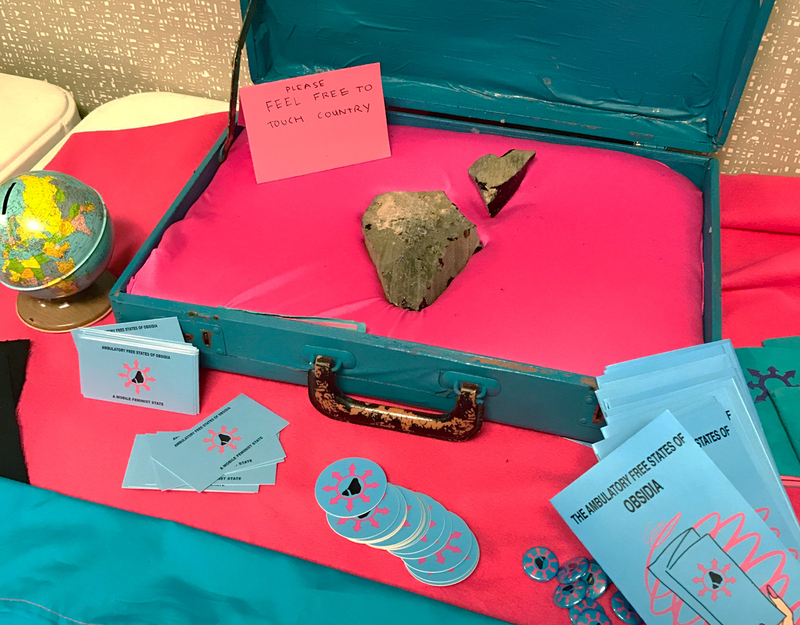 Obsidia wants an international sisterhood, where the only boundaries for women are the ones they mandate over their own bodies. Some countries claim a room, a home, a few acres in Nevada; others exist as a state of mind. The Ambulatory Free States of Obsidia claim these rocks as their territory. While Karo Lyn uses her micronation (a self-proclaimed “ridiculous project”) as a vessel to bring attention to important issues, King Richard, of Acworth, hopes his Kingdom of Edan itself can be a solution for those who dislike living under a large government structure. While the army vet was studying political science, he came across the issue of statelessness—millions of people who have no citizenship or territory to claim as their own. He wants to create a nonterritorial nation for those people—or anyone else who wants a small, personal government. The Kingdom of Edan’s ultimate goal is to peacefully acquire sovereign territory, but for other micronations, the goals are more casual. Even those just in it for a laugh can find the responsibility of ruling their own country to be more than they expected. King Andrew I, of the Kingdom of Briarcliff, stands next to his nation’s display table, which holds Briarcliff’s constitution, samples of its currency, and a key to its letter system (the Briarbet). 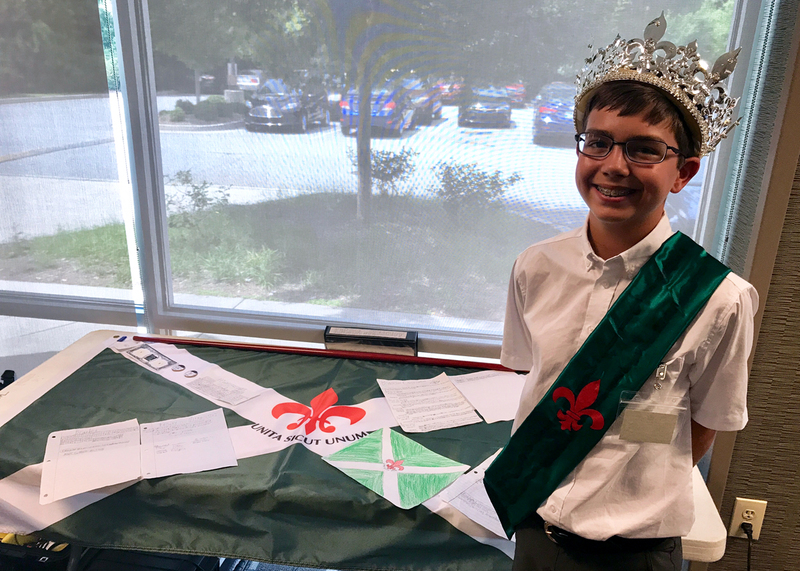 The eighth-grader from Illinois, King Andrew I, wears a plastic crown adorned with silver fleurs-de-lis to match the red emblem on his sash and beams with pride as other monarchs look over his constitution, written in pencil on copy paper and carefully displayed next to the official letter system of the Kingdom of Briarcliff (the Briarbet), an abstract interpretation of the Roman alphabet. His state recently survived its first war—his foe, 9-year-old brother Alex, was defeated using heavy artillery (Nerf guns) and grenades (foam balls)—but a bigger problem now lingers on the horizon: the national debt. Queen Anastasia founded the Kingdom of Ruritania in 1967. Their currency is pictured here. Trifold posters and sample currencies—the Republic of Molossia’s Valora is linked in value to Pillsbury Cookie Dough—line the library’s conference hall; props like King Andrew’s map, hand-drawn and colored in crayon, sit next to 3D-printed armor that’s been field-tested with a battle axe for the Technocratic Republic of Theodia’s would-be guards. Its founder, Swena, recently graduated from the University of Georgia and is looking forward to devoting more time to his country, which—seven years in—he still considers to be in its early stages. Much of Saturday is spent soaking in PowerPoint presentations, from the tongue-in-cheek (“Women in Micronations: Starting your own or supporting your dictator husband”) to the academic (“Diagnosing Emperor Norton,” examining potential psychosis in one of history’s first self-proclaimed rulers). The contributor of the latter is Imperial Majesty Doctor Eric Lis; he rules the Aerican Empire when he’s not working as a psychiatrist. His presentation is on Joshua Norton, who declared himself emperor of the USA in 1859 and, with the support of fellow San Franciscans, “reigned” until his death in 1880. Lis’s prognosis as it applies to a room full of self-declared monarchs and presidents?